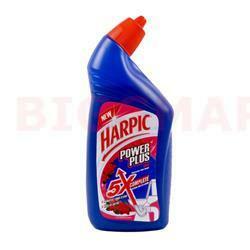 Harpic Power plus Rose always provides the complete confidence that the toilet is always wonderful, clean and fresh. It is optimally thicker than the regular toilet cleaners so that it extends evenly and covers the toilet bowl. It is the most excellent liquid cleaner to maintain your toilet clean, germ free and aromatic. This provides it maximum coverage and more contact with impure surfaces and hence more cleaning power. This bottle of Harpic Power Plus Disinfectant Toilet Cleaner promises to remove the toughest of stains, kill all germs and is five times more powerful than other brands in cleaning you toilets. Forget about extensive brushing or time-consuming cleaning processes. All you have to do is just squeeze the liquid around the bowl and under the rim. Let the liquid spread from the rim to u-bend. When twenty minutes are up, brush lightly and flush. That’s it and your toilet is sparkling clean! 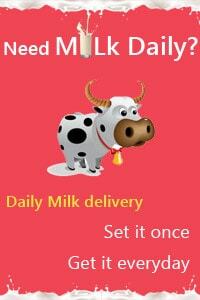 It is 99.9% germ free! What’s more? It even leaves your bathroom smelling like fresh roses! Keep yourself and your family in a healthy and clean environment. As they say cleanliness is next to godliness. A hygienic and clean bathroom ensures a safe house where you and your family can be free of diseases. Buy Harpic Power Plus Rose Disinfectant Toilet Cleaner online now and stay clean!